Arrival in Reykjavik. 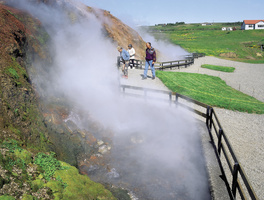 Use your leisure time in Reykjavik to discover the unique charm of the world’s northernmost capital and book one of our pre-tours. 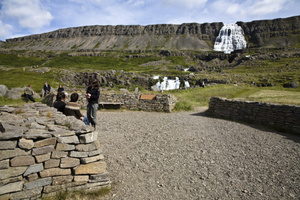 Or explore the sights of south and west Iceland on a self-drive road trip. Overnight in Reykjavik. After an exciting city tour in Reykjavik we visit Thingvellir National Park, the ancient site of the world’s first parliament . A stop will be made to admire the beautiful Hraunfossar waterfalls and Deildartunguhver, the most powerful hot spring in the world. Lunch will be provided the way. Dinner and overnight in West Iceland. Today we visit Godafoss, the magnificent “waterfall of the Gods“ and explore the natural beauty of the Lake Myvatn area, including the peculiar lava formations at Dimmuborgir and the pseudo craters at Skutustadir. 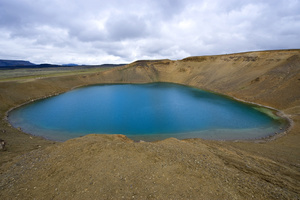 The pseudo craters were formed by gas explosions when boiling lava flowed over the wetlands. Last but not least we visit Dettifoss, Europe’s most powerful waterfall in the northern part of Vatnajökull National Park. Lunch will be provided on the way. Dinner and overnight in the Husavik area. Húsavík is often called the “Whale watching capital” of Iceland, the town’s offshore waters are home to 15 different whale species, as well as dolphins Watching these graceful ocean giants in their Arctic habitat is an unforgettable experience. An exciting trip with RIB boats (Rigid Inflatable Boat) to search for the gentle giants awaits you. Lunch in Husavik. Embarkation in the afternoon. 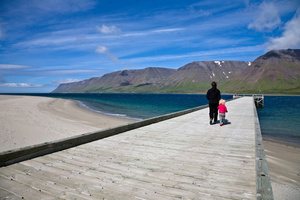 Today‘s destination is the idyllic town of Isafjördur, capital of the Westfjords region. This secluded peninsula is connected to the rest of Iceland by only a narrow strip of land. 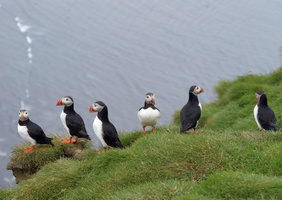 Even by Icelandic standards, the area can be described as unusually isolated. The landscape is characterized by mesas and dramatic fjords that cut deep into the landscape. In the morning the OCEAN DIAMOND reaches the small village of Stykkisholmur, starting point for our explorations of the Snaefellsnes peninsula. Snaefellsnes is also known as “Iceland in miniature” since this region contains nearly all different kind of Icelandic scenery. In the evening the OCEAN DIAMOND leaves Stykkisholmur for the direction of Reykjavik. Tonight you may have the last opportunity to see Northern Lights! 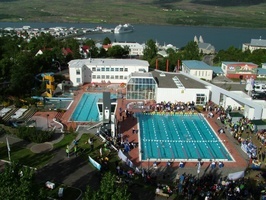 In the morning we return to the port of Reykjavik. After breakfast it’s time to bid farewell to the OCEAN DIAMOND. Explore the sights of south and west Iceland on a self-drive road trip. 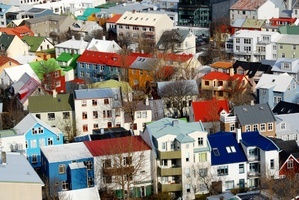 You can also simply hang out in Reykjavik, a perfect city for those who want to refresh their spirit in a place that combines invigorating outdoor activities, great food and world-class entertainment. Departure transfer on your own. must be booked by Dec 23, 2018!